Portable hard drives are always useful if you’re moving big files, or if you simply need to backup your files. However, it seems that some users are complaining that Windows 10 does not recognize the portable hard drive, so let’s see if there’s a way to fix that. External hard drive not showing up in Disk Management – This can be a big problem, and if you encounter it, be sure that your hard drive is properly connected to your PC. 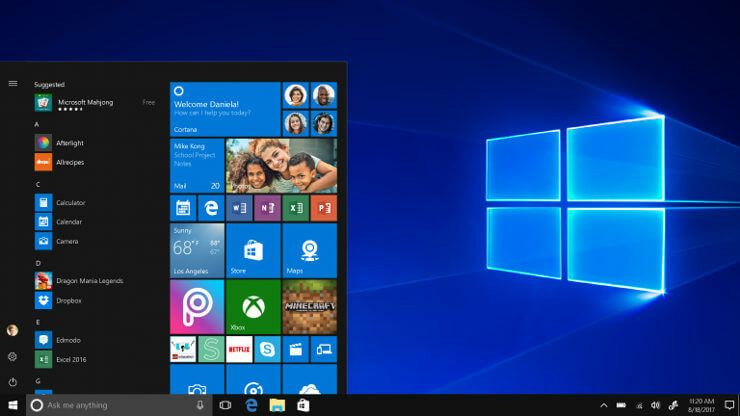 Can’t access external hard drive Windows 10 – Many users reported that they can’t access their hard drive on Windows 10. If that’s the case, make sure that you assign a different letter to your hard drive. Also, be sure to check if your hard drive is formatted. External hard disk not detected in Disk Management – Sometimes your hard disk might not show up in Disk Management at all. That can be due to your drivers, so be sure to keep them up to date. Windows doesn’t recognize USB device, drive, stick – This problem can occur with almost any USB storage device, and even if you don’t use an external hard drive, you should be able to use most of our solutions with other devices. Locate Disk drives section and expand it. Check if any of the listed devices have a yellow exclamation mark next to it. If there is an exclamation mark next to your device this means that there might be a driver issue. Right-click the device and choose Update Driver. Select Search automatically for driver software. 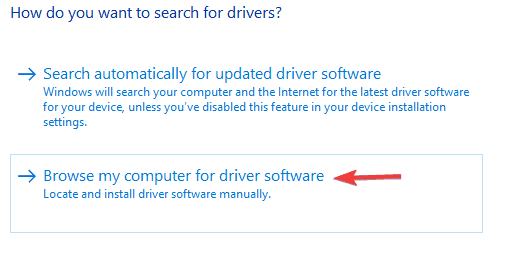 Windows will now search for a suitable driver online and install it automatically. After the driver is installed, check if the problem is still there. In addition, users are recommending to update Universal Serial Bus Controller driver, so be sure to try that as well. In addition, you might want to check manufacturer’s website for latest drivers. Press Windows Key + X and choose Disk Management from the menu. Locate your portable hard drive in Disk Management and right click it. 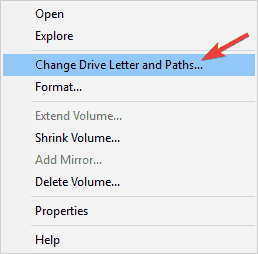 Choose Change Drive Letter and Paths. 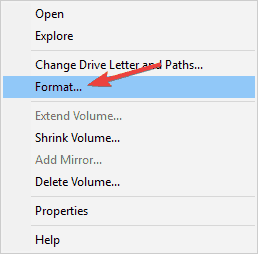 A new window will appear showing you the current letter of your portable hard drive. Click Change and choose a new letter for it. Make sure that you choose the letter that you won’t assign to another drive. You’ll be presented with a dialog confirming that you wish to change the letter of the drive. 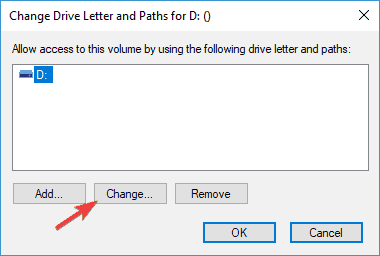 Select Yes to change the drive letter. If Disk Management shows your portable hard drive filled with unallocated space you might want to format your portable hard drive. Formatting a drive will delete all files from it, so make sure that you backup important files first. Right-click your portable hard drive and choose Format from the menu. 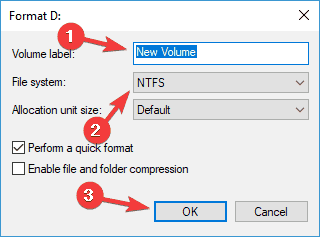 Enter the label for your hard drive, choose File system type. Press OK and wait until your portable hard drive is formatted. If you can’t do this in Disk Management, or you would prefer to use a different tool, we already covered some great disk management tools, so you might want to try one of those. If you’re looking for a simple but powerful disk Management tool, our recommendation would be Mini Tool Partition Wizard. If Windows 10 doesn’t recognize your portable hard drive, you might be able to solve the problem by using the Hardware troubleshooter. As you know, Windows comes with all sorts of troubleshooters, and you can use them to fix some common problems. Go to the Update & Security section. Select Troubleshoot from the menu on the left and in the right pane choose Hardware and Devices. Now click Run the troubleshooter button. Once the troubleshooting process is finished, check if the problem is still there. Locate your portable hard drive, right-click it and choose Uninstall device from the menu. Click Uninstall to remove the driver. Now click Scan for hardware changes icon. Windows will install the default drivers for your portable hard drive. Some users are recommending to uninstall all devices under Universal Serial Bus Controllers section, so be sure to try that as well. If your Windows doesn’t recognize the portable hard drive, it’s possible that there’s an issue with its cable. Be sure to inspect your cable, and if your cable is broken, you’ll need to replace it. In addition, you can try the portable hard drive on a different PC. If the same problem appears on another PC, the problem is most likely related to your portable hard drive. Most likely the hard drive isn’t properly configured or formatted, so you’ll need to configure it properly before you can use it. Locate your portable hard drive, right-click it and choose Update driver. Now select the Mass Storage Device driver and install it. After this driver is installed, check and see if the problem is resolved. Make sure that your hard drive is turned on. Sometimes you might have issues with your hard drive simply because it’s not turned on. To fix the problem, check your drive for the power switch and press it. If your hard drive has a power cable, be sure that you connect it. Connect the drive to a different port. In some rare cases, it might happen that your USB port isn’t working properly. Your USB port might be damaged, or it might not be fully compatible with your hard drive. Connect the hard drive directly to your PC. Many users tend to use USB hubs in order to connect multiple USB devices to a single port. Even though USB hubs are quite useful, your hard drive might not work if you connect it to the USB hub. To fix the problem, connect the hard drive directly to your PC and check if that helps. We also have to mention that if your hard drive is formatted using Linux or Mac with ext4 or HFS Plus File system type you won’t be able to access it on Windows 10 until you format it on Windows. If you have any comments, or questions, just reach for the comments section below.